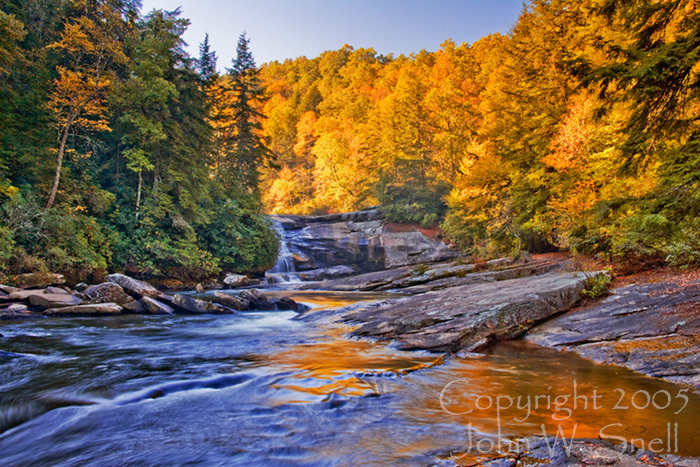 Located just a few minutes southeast of Brevard, NC, DuPont State Forest offers a stunning array of waterfalls. A trio of cascades known as Triple Falls is a focal point of the forest. Shown here is an autumn reflection of the uppermost of the waterfall trio.